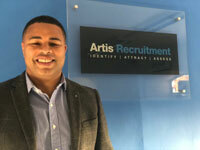 Following a successful career as a Contact Centre Manager for a leading financial services business Paul has spent the last 8 years running the Customer Contact division here at Artis. His focus is to recruit senior operations talent and niche specialisms into customer contact / sales environments for some of the UK's leading brands and growing businesses. Paul’s passion for and knowledge of the Contact Centre industry helps him build close relationships with both clients and candidates and understand the day to day requirements of working in a leadership role in the contact centre industry. Paul’s approach is to dig under the skin of things to develop a thorough understanding of the client’s business needs and the candidate’s career aspirations respectively, and he uses his sector knowledge and hands on experience to add real value to the recruitment process… brokering matches that really work for both sides. Paul lives with his partner and three young children in Bristol.